Rainbrother was formed after Bjarke eventually found his way back to Copenhagen. While touring with The Migrant in Europe, he performed with a group of fellow Danish musicians and after moving back to his home turf, Rainbrother was born. The album was produced by Noah Georgeson (The Strokes, Joanna Newsom, Devendra Banhart) whose flickering elements have been spun into the group’s tight rock sound making Tales From the Drought both an earthy and elevating affair. Facebook here, see Tour Dates page for live details. Rainbrother's interpretation of electronic folk-rock is sounding extremely good as the new song 'Blue' demonstrates. Rather than throw to many ideas or elements into the genre, this is a smooth flowing song with all the natural vibes you expect from folk and rock. Debut album next week! Background - It is singer/songwriter Asha that you ought to have your eyes and ears alert for. 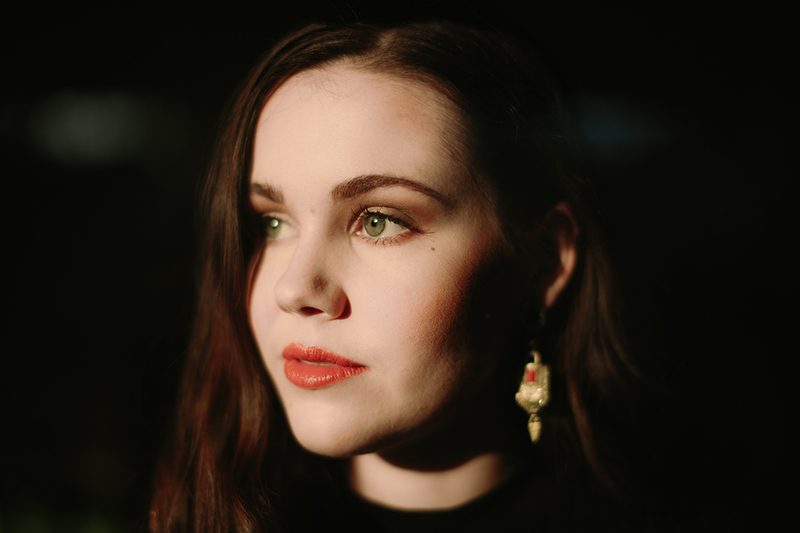 Nearing the release of her debut single ‘Drowning’, Asha anticipates the opportunity that will inevitably open up before her in the Australian music scene. With acoustic drive, lyric depth and imposing soundscapes, singer/songwriter Asha is making a name for herself beyond her hometown of the Central Coast. At the age of 18, she has built up skills far beyond her age musically and lyrically. Asha began to blossom after finding an obsession for the acoustic guitar and spending endless hours teaching herself intricate pieces by artists such as Matt Corby, The Paper Kites, and Ben Howard. The convenience of being able to accompany herself so well has led her to recently be playing many solo gigs and shows in Newcastle and Sydney areas, and score great support slots with the likes of Alex Lloyd and Diesel. The debut single ‘Drowning’ was released on 20th January and is a track that captures the emotional memory of a poisonous relationship. Written by Asha herself and produced by ARIA award winning producer Rod McCormack, they together conjured up a sound that fuses her acoustic background and lyric depth with impressive electronic soundscapes. “This is the music that I want to keep creating. I’d love to keep evolving within this genre. But at the same time I’m not going to limit myself to anything,” Asha states. “Drowning was a song that I wrote and then forgot about. It wasn't even going to make the EP. One day I was reminded of the song, and we ended up recording it and it even superseded the title track of the EP Illusions, as we chose it to be my debut single.” The release of Asha’s debut EP Illusions will follow shortly after the release of her single ‘Drowning’, on February 3rd. Website here, Facebook here. 'Drowning' is a beautiful song in part because of Asha's delightful vocals but in addition because the music and production adds so much depth. Next weeks EP release is looking real good. Luxury Mane - Hard To Be Easy. Luxury Mane emerged from the remains of Summers' previous group, The Semis, one of Tampa's most influential, genre shrugging and self-destructive outfits. 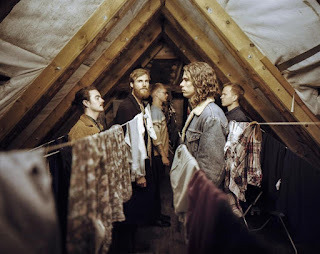 Summer and drummer Lovell have spent the last five years coming to their senses while writing, creating and recording at their home base studio, Hey! We Put Some Foam Up. Lolling in the St Pete sunshine has proved inspirational for this prolific group who have produced three LP's and one cassette since their inception including 2013's Natural Beauty, 2014's Gold Standard, the 2015 cassette, Isn't This Great? ( Wiener Records ), and the 2016 release, Lux Runnin Out. Lux Runnin Out was recorded and mixed by Billy Summer and Eric Stamile ( Le Blonde ) and mastered in Portland, OR at Stereophonic Mastering by Timothy Stollenwerk ( YACHT, Tune-Yards, The Oh Sees). Photos and layout were realized by legendary, St Pete, creative giant, Todd Bates, who helped the band capture a bold and minimalist approach to their product, breaking away from overused adjectives like "hazy, swirly, droned, stoned, and shimmery". Bandcamp here, Facebook here. From the first chords 'Hard To Be Easy' has a sweeping and expansive feel. Laid back vocals and the swirling wall of sound intermingle, in what is a dreamy, pleasing song. American Dreamer - All The Time. Background - American Dreamer, an Austin, TX based orchestral folk ensemble, specializes in approachable, yet sophisticated fretless pop. Their topical and politically driven material is couched in intimate chamber music, sonically falling somewhere between Sufjan Stevens and Yo-Yo Ma, Chris Thile, Edgar Meyer, and Mark O’Connor’s Goat Rodeo Sessions. Band spearhead Sasha Klare-Ayvazian first got a taste of the lush combination of folk and classical music when his roommate began playing cello along with his songs during his freshman year at Oberlin College outside of Cleveland, OH. Sasha attempted to capture this sound through multi-tracking American Dreamers’ self-titled EP, released in 2014, and continued ruminating on the power of this tradition until he returned to school to get his master’s degree. There he connected with new friends who turned out to be classically trained string players. The newly formed line-up released the live EP, Winding up a Dream, in 2015 and began performing across Central Texas, snagging a Global Music Award along the way. As a band with four fretless instruments, the challenges associated with intonation forced the band members to become highly attuned to each other and after a solid year of writing and performing new material, American Dreamer was beginning to realize the sound Sasha had been envisioning for years. 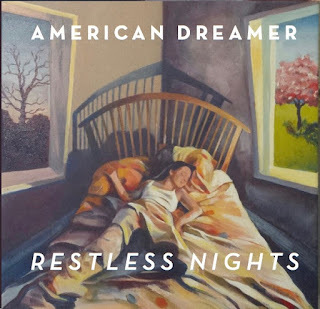 Earlier this year, American Dreamer entered Austin Signal Studios and, with the help of engineer/producer Andrew Oedel, recorded their first LP Restless Nights. “Calling the record Restless Nights is a reference to our band name” Sasha reflects. “The American Dream doesn’t seem to be doing so well at this time, so we wanted to offer a form of respite and spent a lot of time exploring the space we wanted to create.”Website here, Facebook here. 'All The Time' is a stylish mixture of genres, where the 'ensemble' allow each element to come through and have there place. It's also a charming unpretentious pop song that's highly likable. Richard Edwards - Disappeared Planets. Background - On March 31, Richard Edwards will release his debut album Lemon Cotton Candy Sunset on Joyful Noise Recordings. The album was produced by Rob Schnapf (Elliott Smith, Cass McCombs, Beck) in Los Angeles, and features a stellar lineup of musicians including Pete Thomas (Elvis Costello) on drums and guitar work from Mike Bloom (Jenny Lewis). "'Disappeared Planets' was written in the days following my separation from my wife," explains Edwards. "I woke up on pain medication from an abdominal surgery in a cold sweat with a premonition and the song fell out real fast, within a few minutes, I reckon. It was a real draining thing to write and made me kinda sick to listen to for a long time. Not so much anymore." Edwards is also announcing his first live performances in over three years, at the first annual Gas Feed & Seed Festival in Davenport, IA and Rough Trade NYC - on sale this Friday, January 27. In 2014, Richard Edwards (then frontman of Margot & the Nuclear So and So’s) was diagnosed with C. diff - a rare and potentially fatal stomach ailment. Shortly after releasing Margot’s final album he lost over 40 pounds, was to forced to abandoned a near sold out tour, and spent the next couple years recovering and writing a new record about absence. In 2015, after the dissipation of a longtime partnership & marriage, he underwent surgery on his abdomen and re-wrote the record about absence. The result is Lemon Cotton Candy Sunset, Edwards’ first post-Margot solo album. Website here, Facebook here. As a taste of the forthcoming album 'Disappeared Planets' is a rich and very well produced song. Musicianship is as you might expect from the calibre of people involved, however that still requires a fine song. 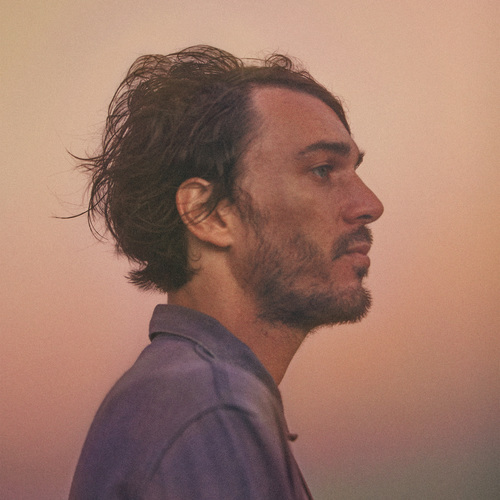 Richard Edwards does not disappoint, his vocals add character and meaning, the album should be something quite special.